Middlefield Wasps are keen to use the Assassin health and fitness village facilities. Pictures by Kenny Elrick. A football club with more than 350 young players has backed £10 million plans for a health and sports complex on the grounds of a disused school in Aberdeen. The Middlefield Wasps are hoping to turn the proposed Assassin Health and Fitness Village into their new home if proposals are approved. The plan, put forward by Aberdeen boxer Lee McAllister – also known as the Aberdeen Assassin – would completely transform the site of the fire-hit Cordyce School in Dyce into a sports centre with a swimming pool, cafes, a gym and more. The 35-year-old’s scheme has also been designed to support disadvantaged people such as those with disabilities, recovering cancer patients, alcoholics and the homeless. 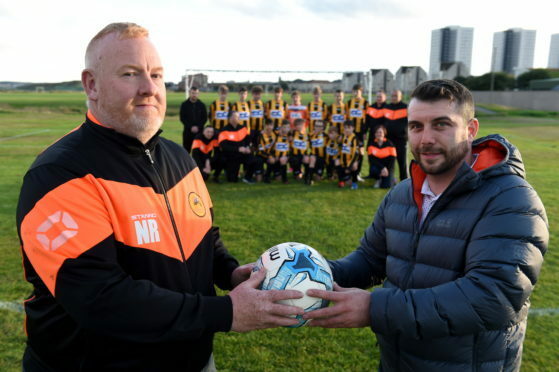 Last night the Wasps met with Mr McAllister to show their support for his project. Mr McAllister said: “This is a massive boost for the Assassin Health and Fitness Village. 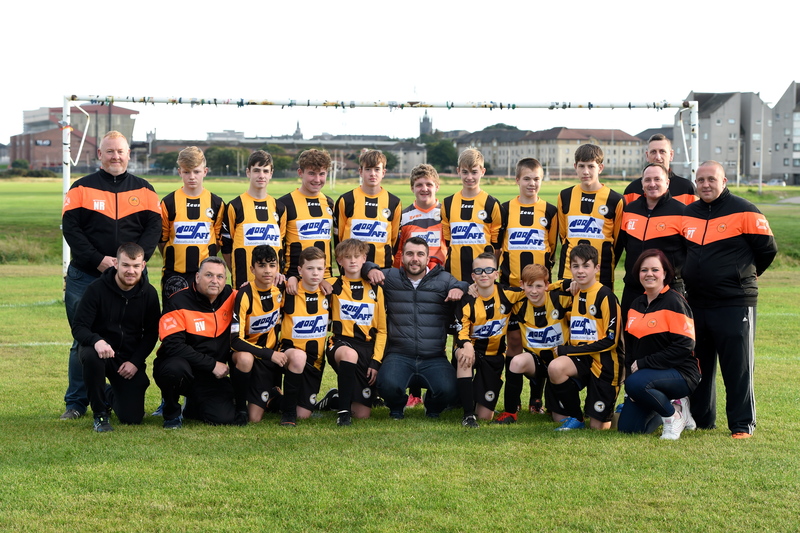 “To have the Middlefield Wasps, one of the oldest registered youth clubs in the north of Scotland, on board and involved is really amazing. “As a club, they’ve made such a huge difference for hundreds of youngsters over the years, so they really fit in with our plans and what we’re trying to achieve. Nick Runcie, the president of the Wasps, said: “This is a massive investment that Lee is hoping to bring to the area and the facilities have the potential to be the best on offer in the north-east of Scotland. “The Wasps want to be part of that. “We’ve got more than 350 kids in our club now and about 55 coaches, so the club is growing bigger and bigger every single year. “We need to have good facilities to get these children playing football, because that’s what it’s all about. “We would be moving all of our junior activities initially, but eventually we would hope to get everything together in the one place – all our winter training facilities and our game facilities, all in the same place. Other plans for the former Cordyce school site have also been put forward by the Parkhill Garden Centre, which has backing from a housing developer. The city council is expected to consider the rival bids later this month.